After graduating from Mount Anthony Union High School in 2012 Zak attended Anderson University in Anderson South Carolina on a full DII Wrestling Scholarship. Zak originally attended college to earn a bachelor’s in Mechanical engineer through a path that would have led him to Clemson University. However, just one year after attending college Jon asked that Zak to take some accounting classes to assist with the booking of Hale Resources in the summer which has led him down his current path. Today, Zak contributes to Hale Enterprise by working with Jon’s strengths and coming up with ways to implement technology into the workflow of daily operations along with assisting Jon in financial oversight of the company. 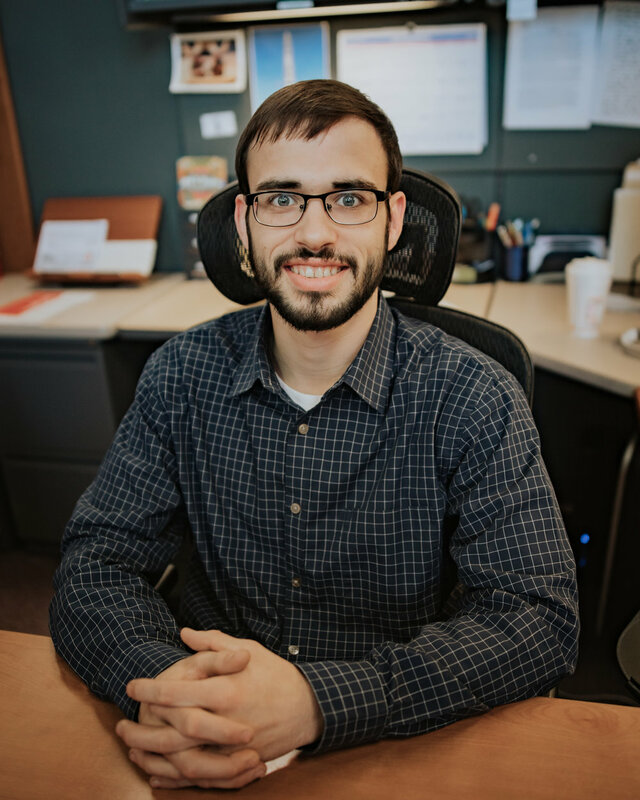 Although physics always has been, and always will be, a passion of Zak’s he soon found himself pursuing both a Bachelor’s in Financial Economics and Accounting at Anderson University. It was during Zak’s fourth year of college that Anderson would announce that they would be dropping the wrestling program. From there Zak made the decision to pass up his 5th year of honored scholarship to move to Castleton Vermont and Receive a Bachelor’s in both Accounting and Business Management concentrations. Zak would also attend Castleton to wrestle for his former high school coach starting a team at Castleton University that same year. After completing these degrees Zak saw an opportunity to pursue further knowledge and attended Castleton University a second year to receive a Master of Science in Accounting. During this time Zak also worked full time, pursued outside learning opportunities, developed networks throughout southern Vermont and found a great passion for helping others achieve their goals. During this last year of school, Zak would start the Business Club for Entrepreneurs with the goal of helping students link their current studies to real world local business. Throughout the past few years, Zak has also shown a great commitment to giving back to his community. While attending school in South Carolina, Zak was a part of the Student Government Association, and the Student Athlete Advisory Committee. Even, after starting the business club and graduating from Castleton, Zak has still been connected to his community. Currently he holds a position on the Sires Young Professional Board where he chairs the professional development committee, and he holds a position on the Castleton University Alumni Association. Partner/Manager at Hale Resources, LLC While attending college he has had the opportunity to help his father, Jon, grow and establish their Real Estate Development and Property Management business. Jon attended school for aeronautical engineering, and although he has had experience running businesses, my knowledge has helped contribute to our growth tremendously. Accounting at Hale Resources, LLC Implemented QuickBooks while doing approximately $500,000 in revenue and maintained financial data during growth to $3 Million in general contracting, real estate development, rents, and a laundromat revenue. Implemented Buildium, a property management software for the real-estate financials and keeping track of property maintenance and tenants. Responsible for monthly, quarterly, and year end reconciliations, partner distributions, and adjusting journal entries, the accounting of property plant and equipment, and oversee all other financial information. Currently researching and assisting with the start-up of a Real Estate Investment Trust that we would like to create to help with economic growth in Vermont. Real-Estate Development at Hale Resources, LLC Create business plans, and pro formas to present to banks, and investors to finance projects. Focused on project management and oversaw financials during the renovation process of projects. All while playing a political among communities and presenting to boards. Assist for-profit and not-for-profit businesses in startup procedures and beginning operations. Have heavily focused on my ability to network and connect people for non-personal gain which has shown to benefit and help achieve goals in the long term. General Contracting at Hale Resources, LLC General contractor/Project manager/Supervisor on development projects.